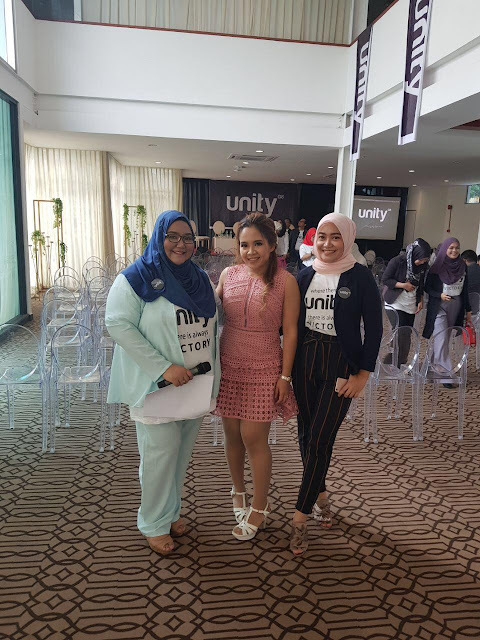 Hai-O Marketing Sdn. Bhd. had come up with a new product called BB Plus Kolagen. From 1st September 2012 to 30th November 2012, there is PROMOTION provided by Hai-O Marketing Sdn. Bhd. With every purchase of 4 BB Plus Kolagen, you will receive 1 FREE box of BB Plus Kolagen and 1 FREE Limited Edition BB Plus Shaker. 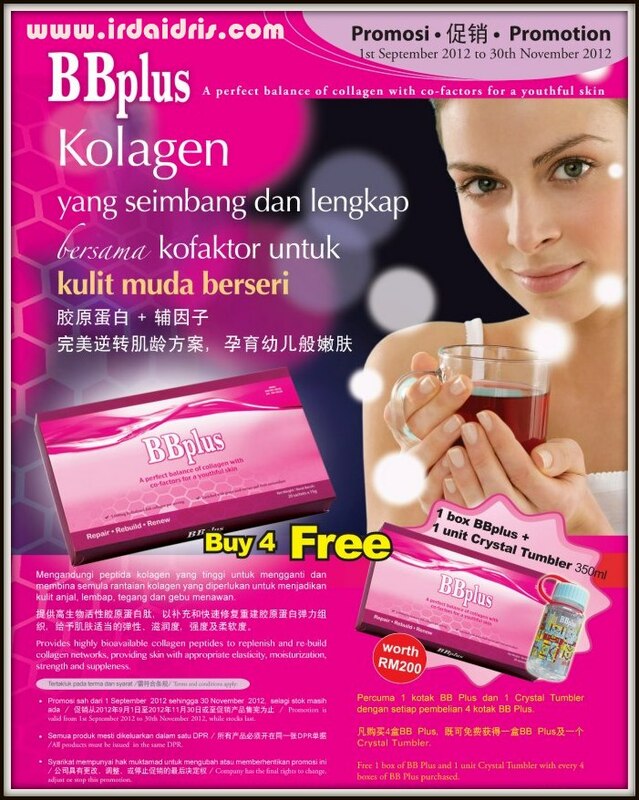 The Market Price for the BB Plus Kolagen = RM180/box (20 sachet per box). That's approximately 5 months supply of BB Plus Kolagen. 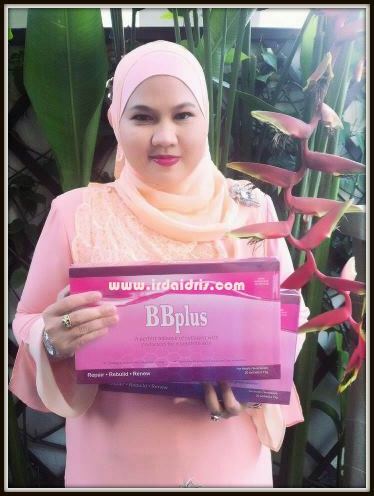 CDM Siti Rohana Yusoff with BB Plus Kolagen.. Although she is 40 plus, look at how her skin glows just from the recent consumption of BB Plus Kolagen..
Get your BB Plus Kolagen and call me now for great discounts!! The promotion as per above has ended. Please refer here for current promotion.